This is an indicator described by J.Ehlers in one of his famous books. It is based on the conventional Rsi, but uses one of Ehlers smoothing techniques. 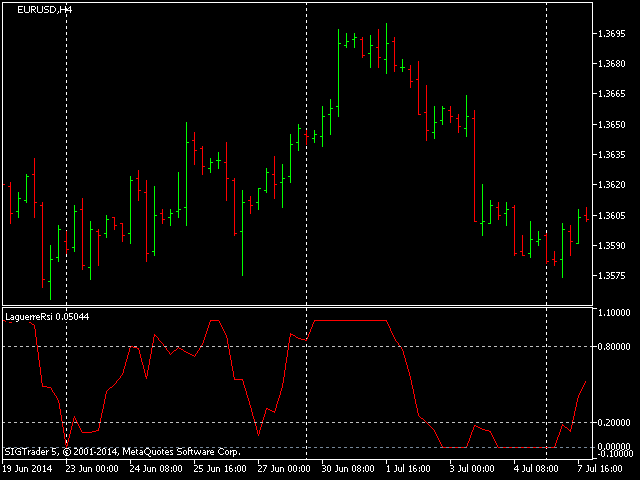 A typical use of the Laguerre RSI is to buy after the line crosses back over the 0.2 level and sell after the price crosses back down over the 0.8 level. 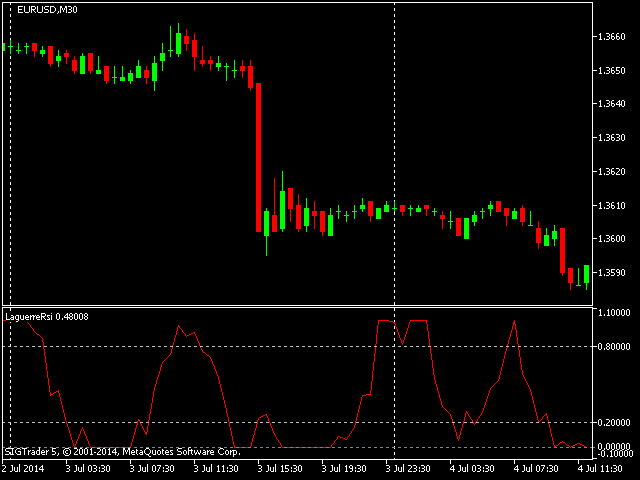 Of course, just as with the conventional RSI, more elaborate trading rules can be created. The code has been optimized and is calculated much faster now.